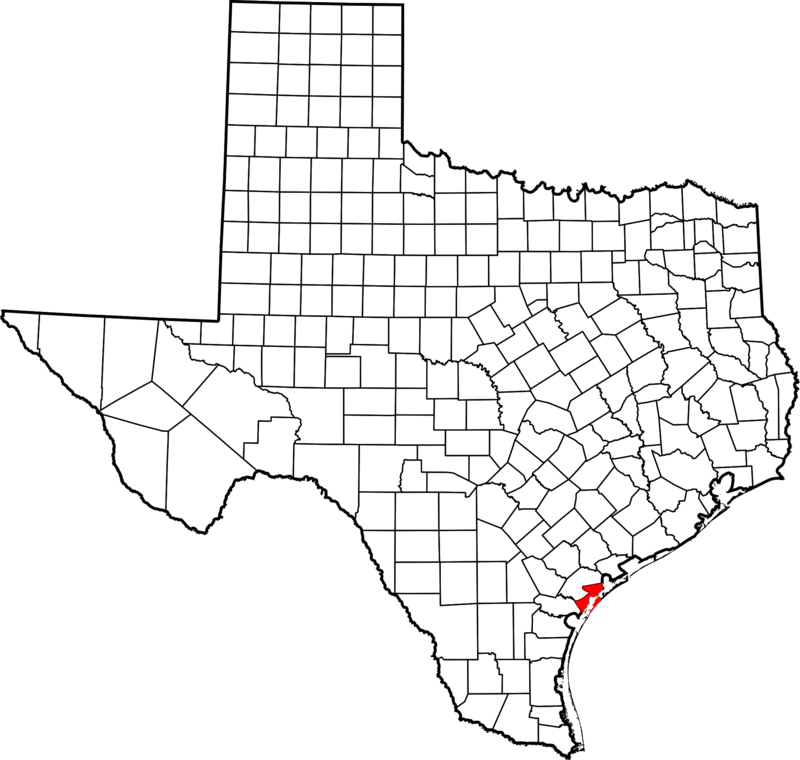 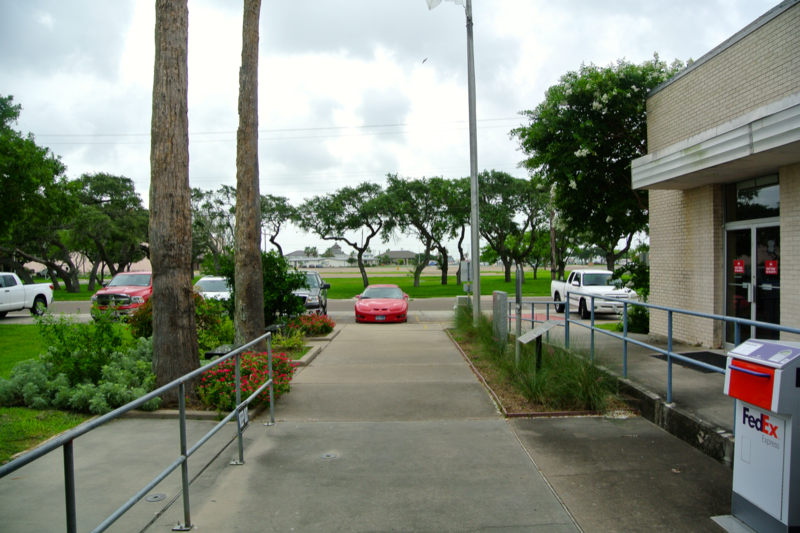 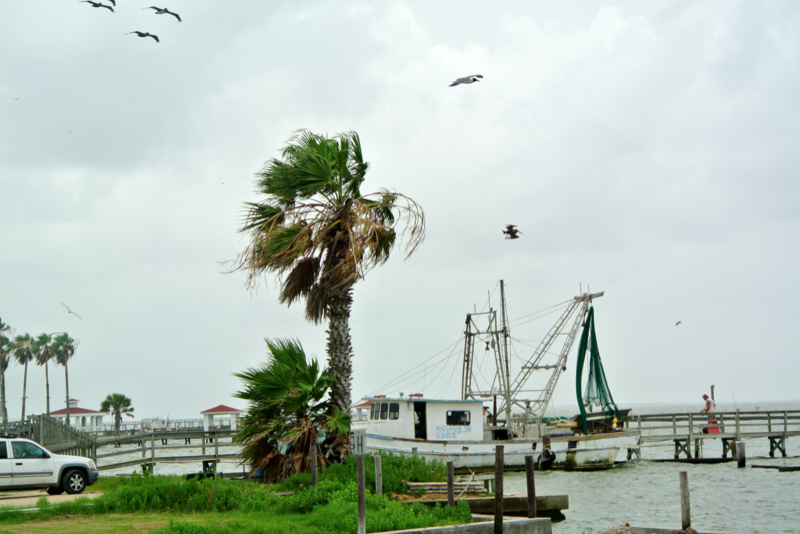 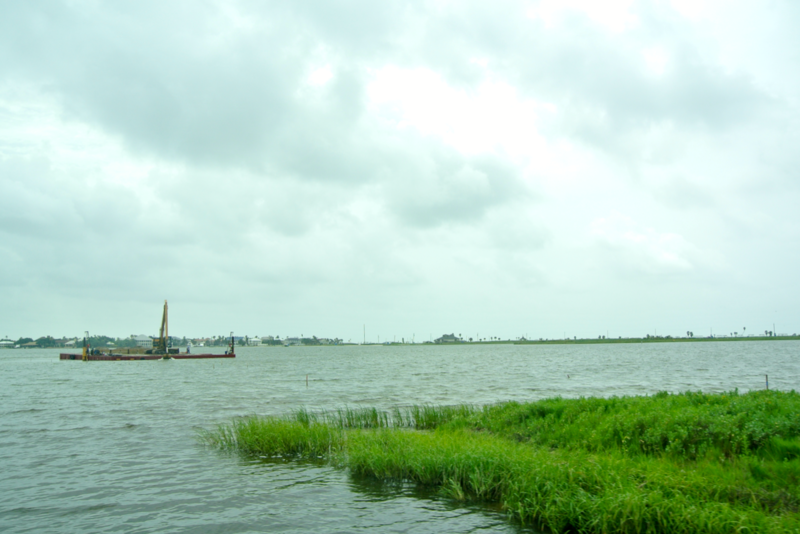 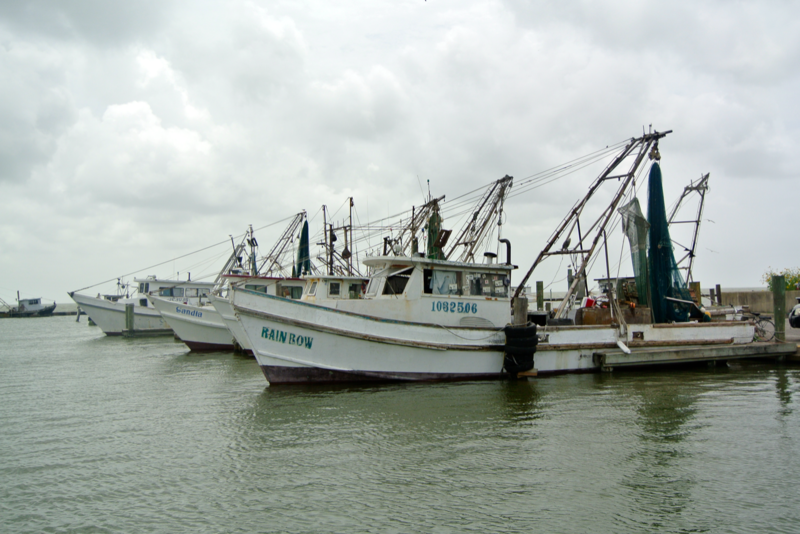 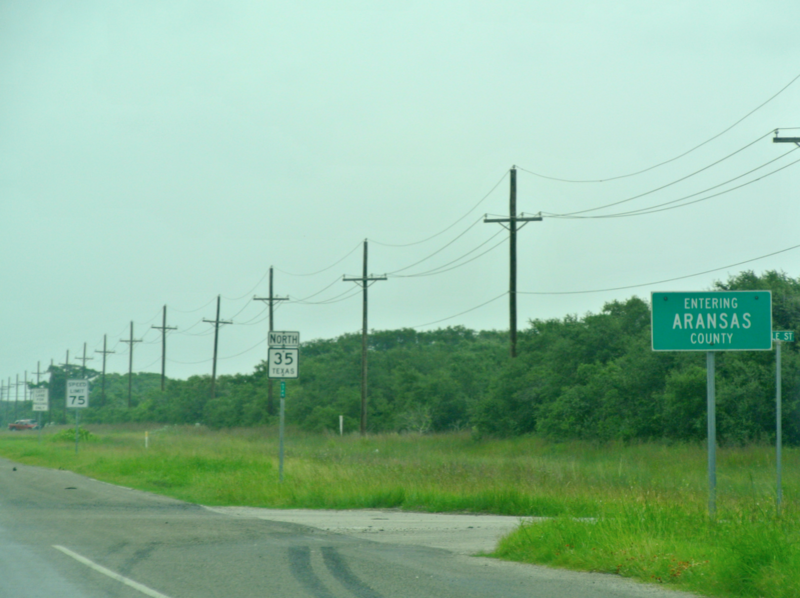 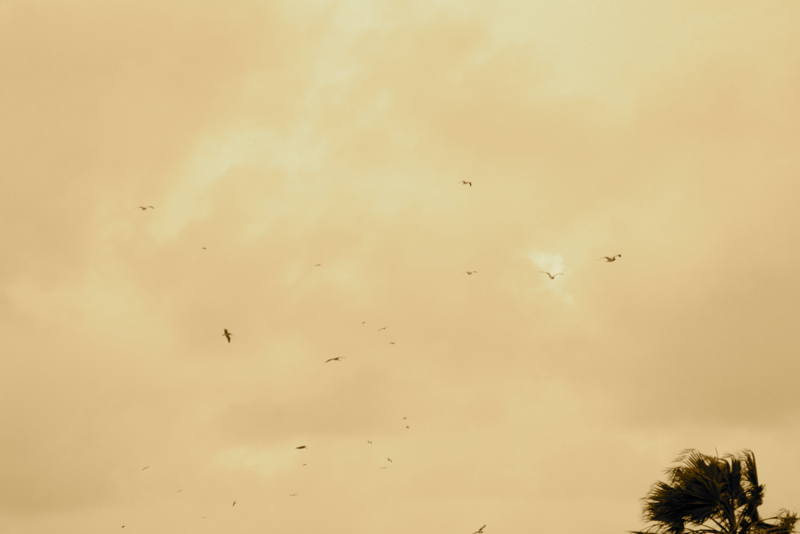 I was the guest of Rockport and Aransas County on June 22, 2015. 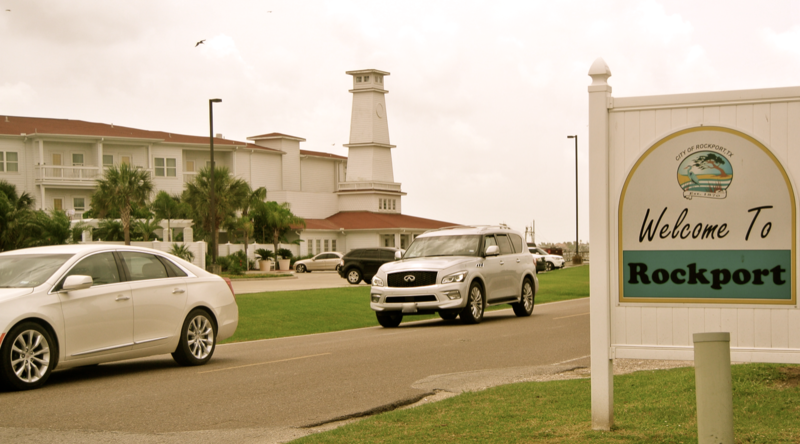 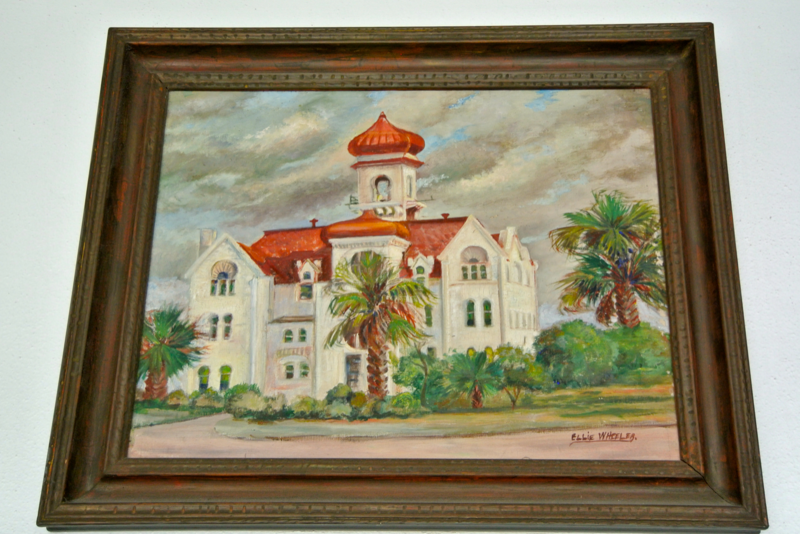 Influenced heavily by the Moorish style, James Riely Gordon put together this unique work to properly befit a place at the cultural crossroads of South Texas and the Gulf Coast. 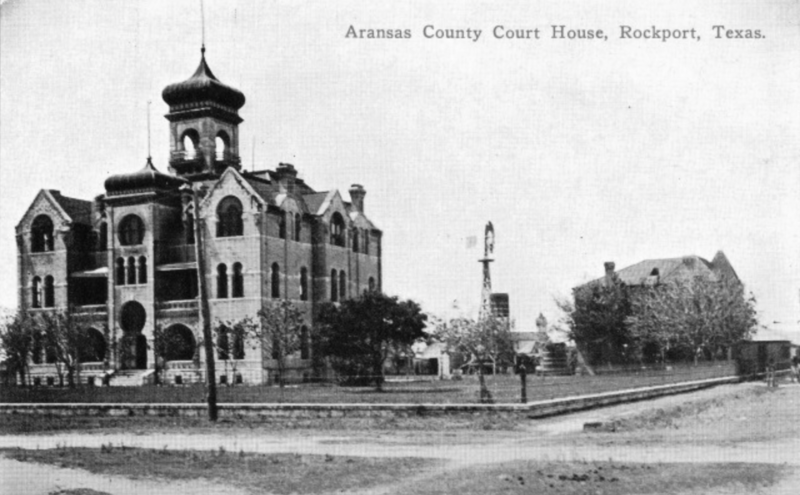 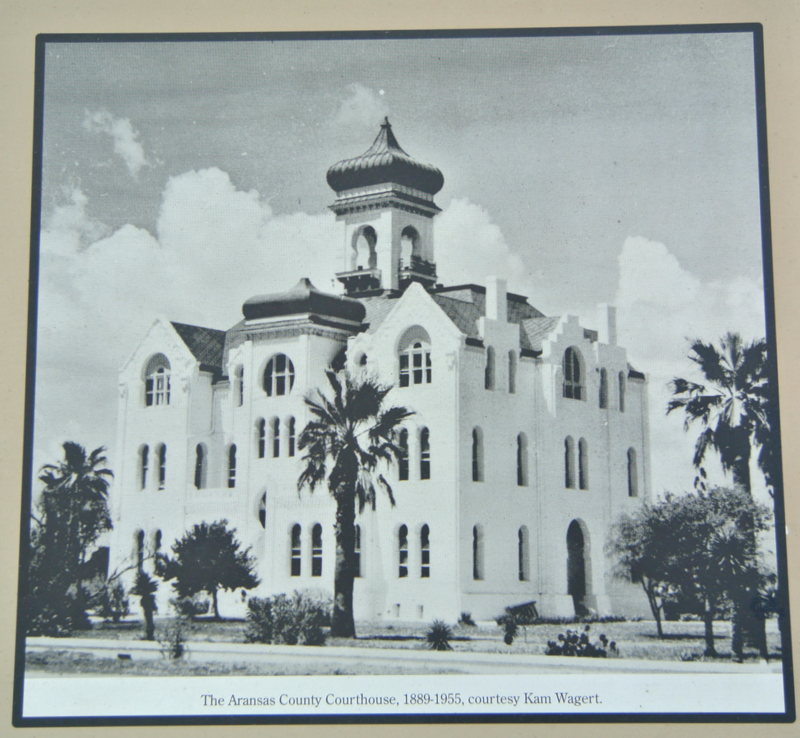 Characteristic horseshoe arches and ogival roofs make this courthouse stand out among the rest in Texas’ storied past. 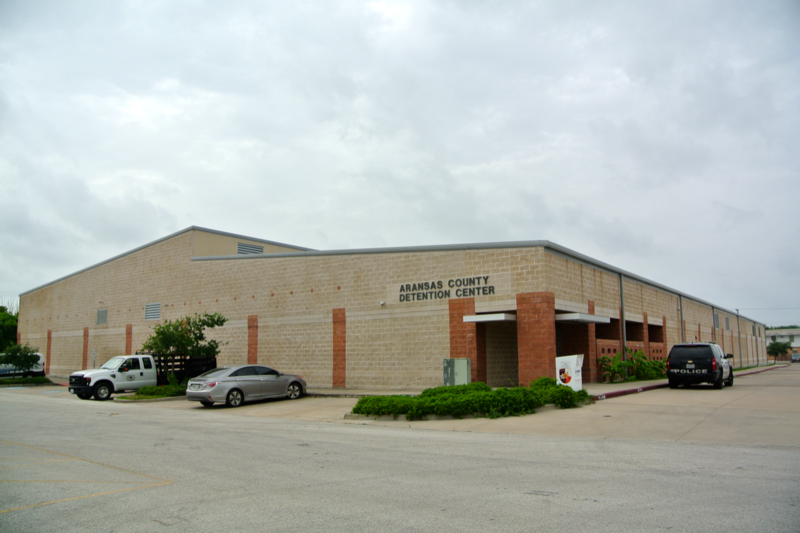 It cost the county $19,494.00. 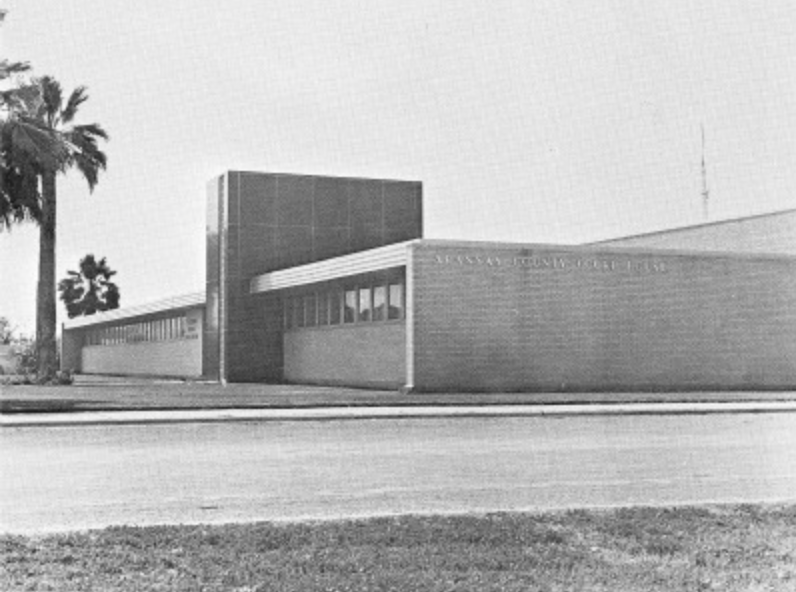 Regrettably, it was torn down in the 1950s as another victim of the mid-twentieth century’s relentless modernization phase. 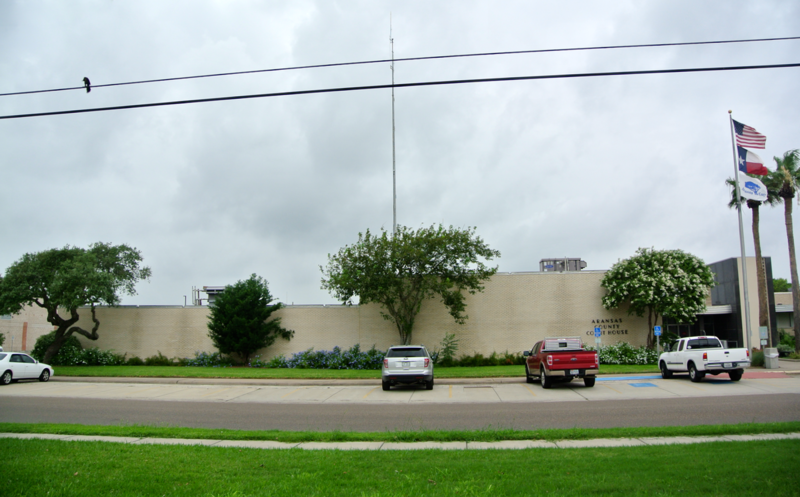 This lot, adjacent to the current courthouse, is where the Gordon design once stood. 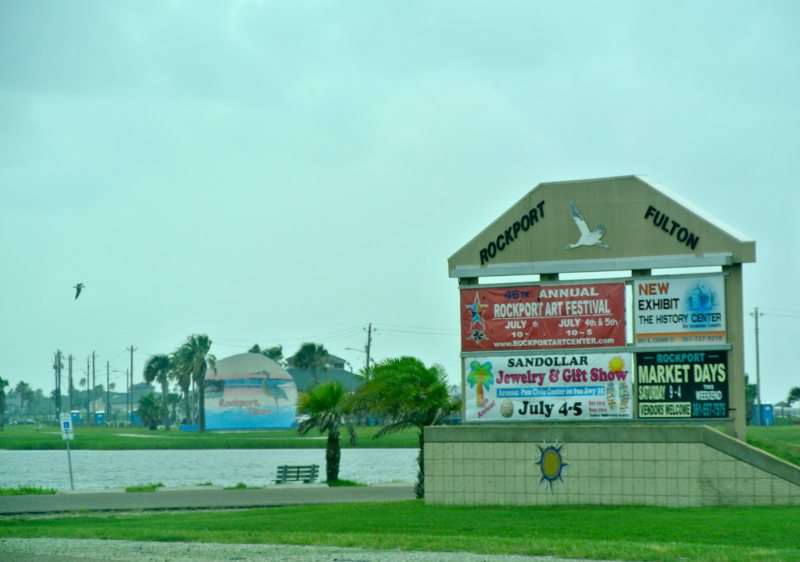 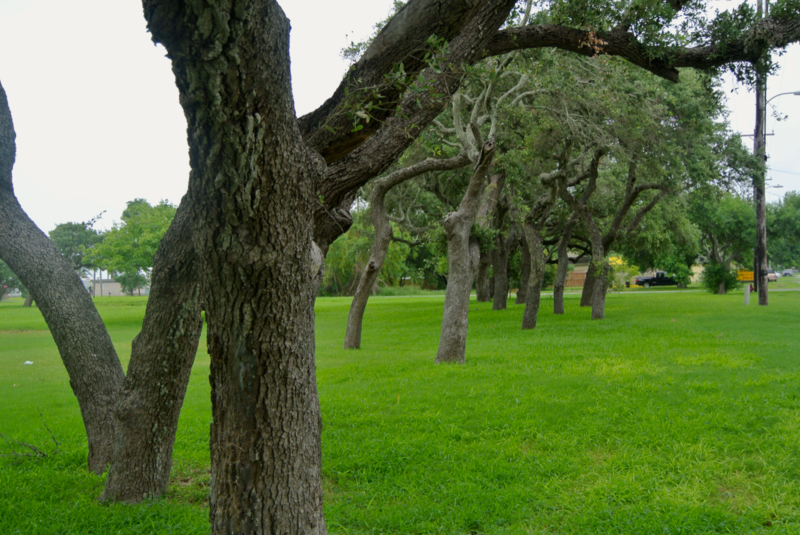 Fortunately, the City of Rockport hasn’t built anything over it. 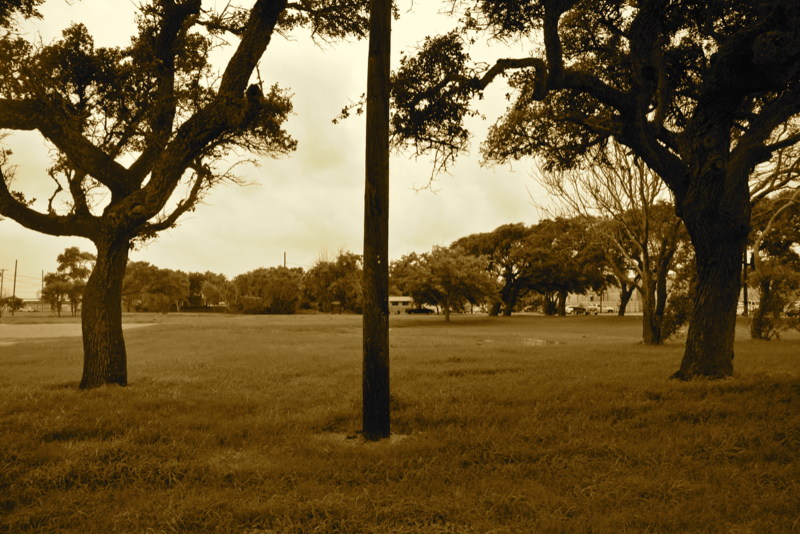 They call the technique used here the “Motel Style”. 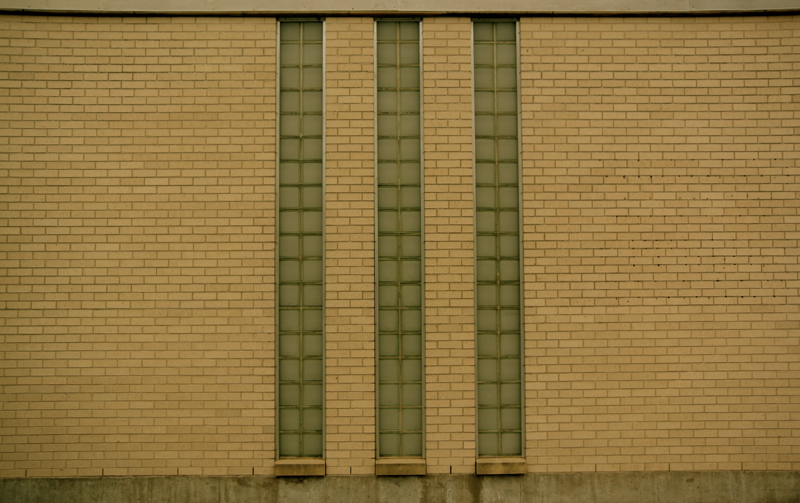 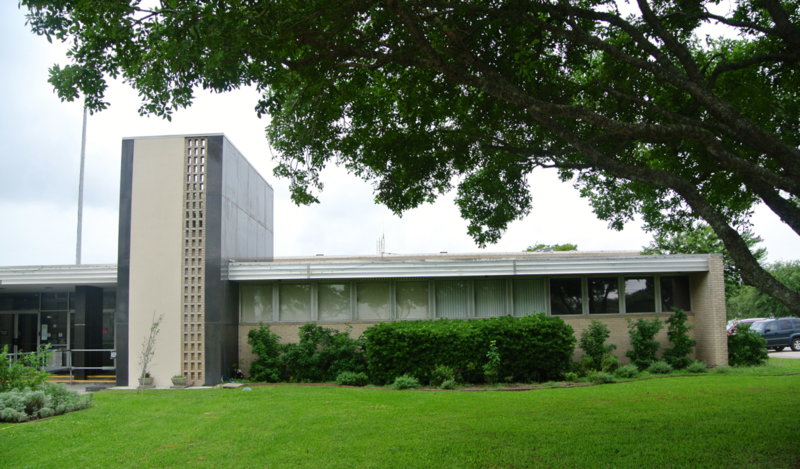 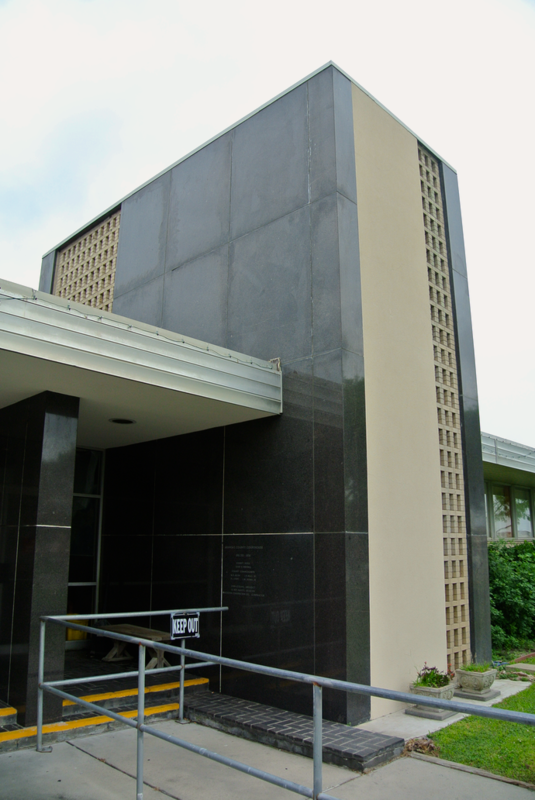 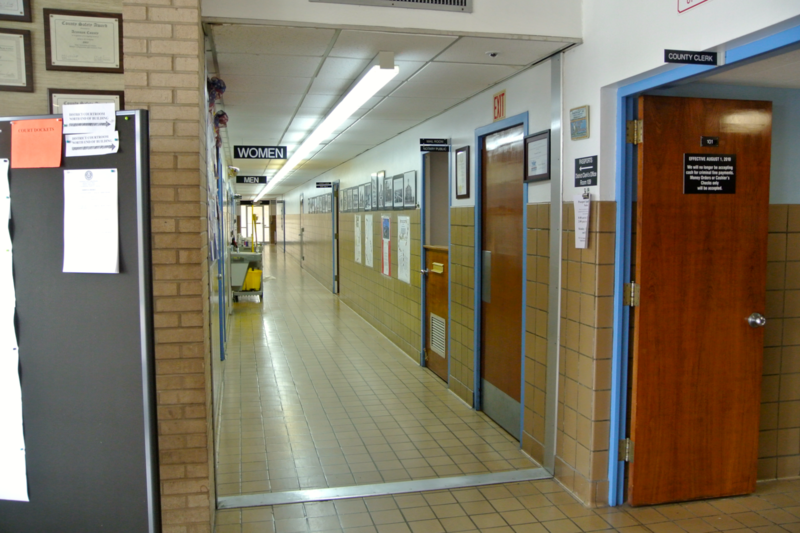 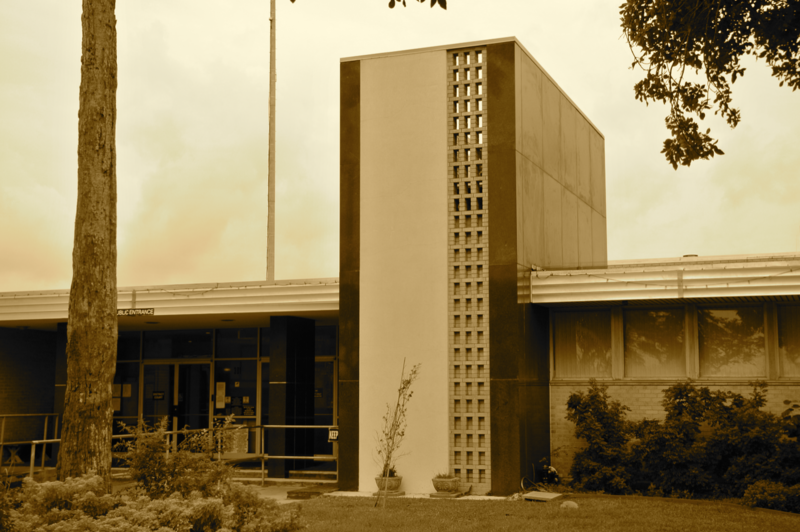 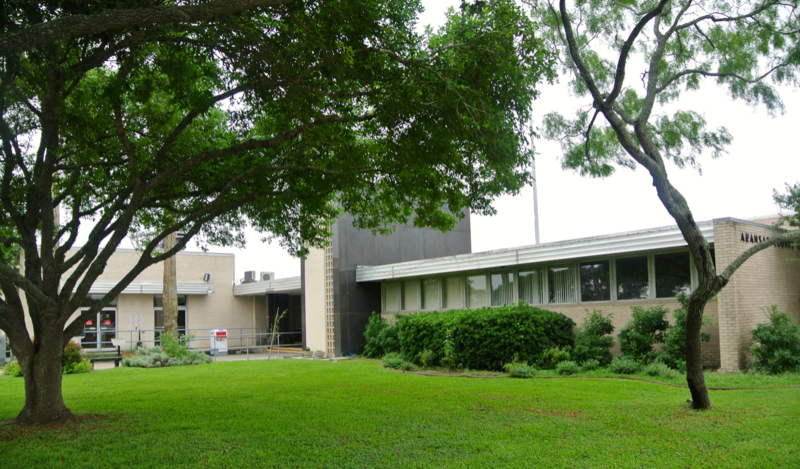 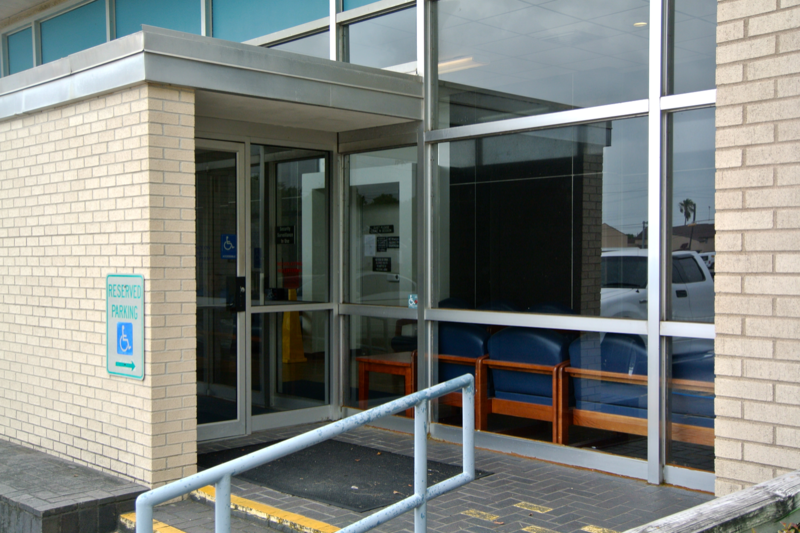 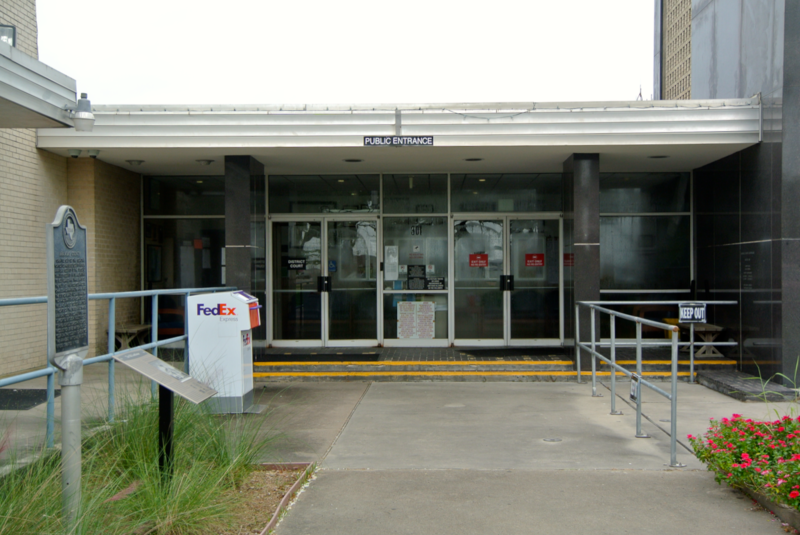 The architect was Lynn A. Evans and an addition was completed in 1983. 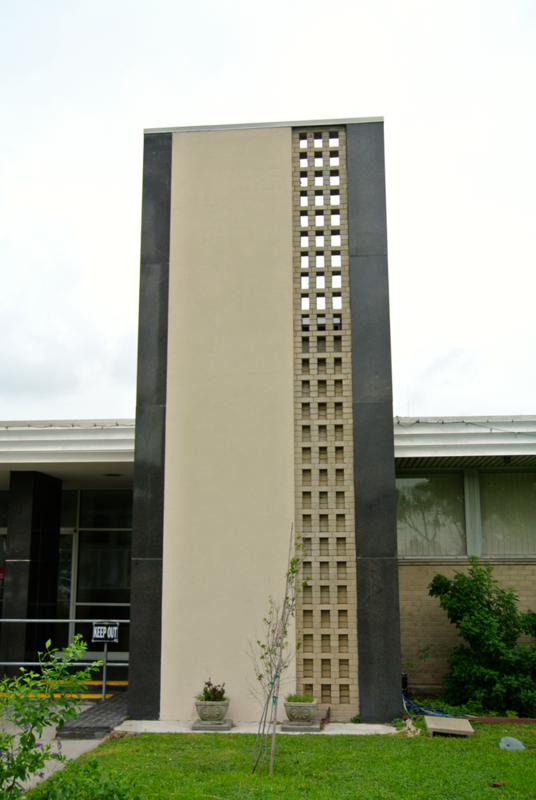 Truly, the only source of “life” to the structure is this small tower. 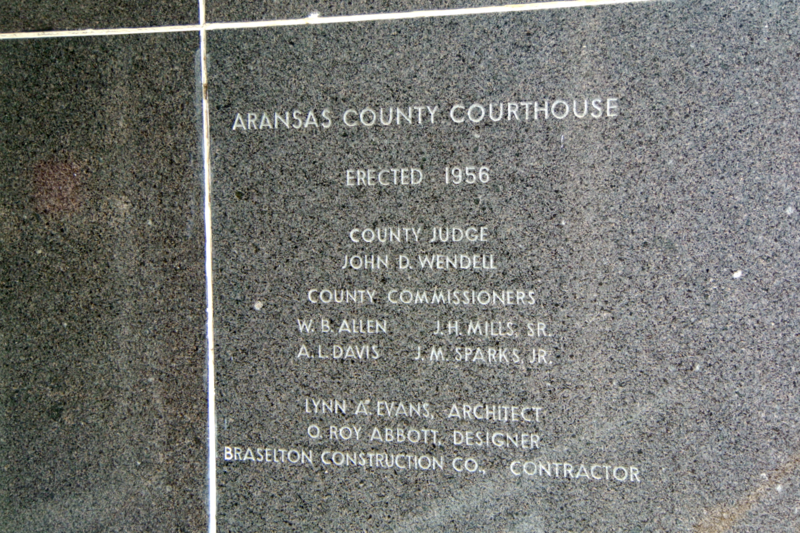 The “cornerstone” is etched into the granite of the tower. 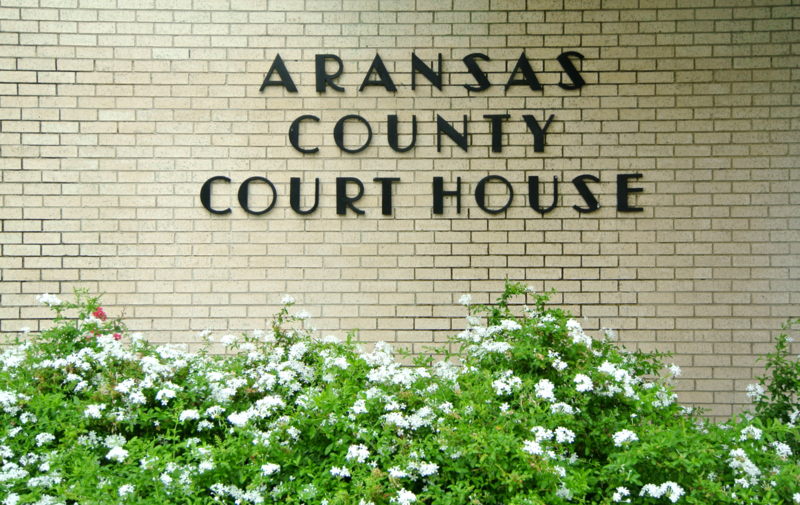 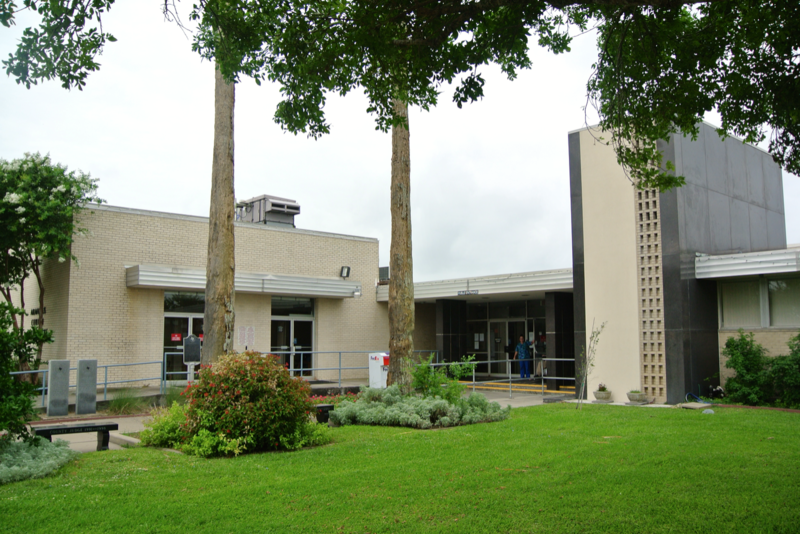 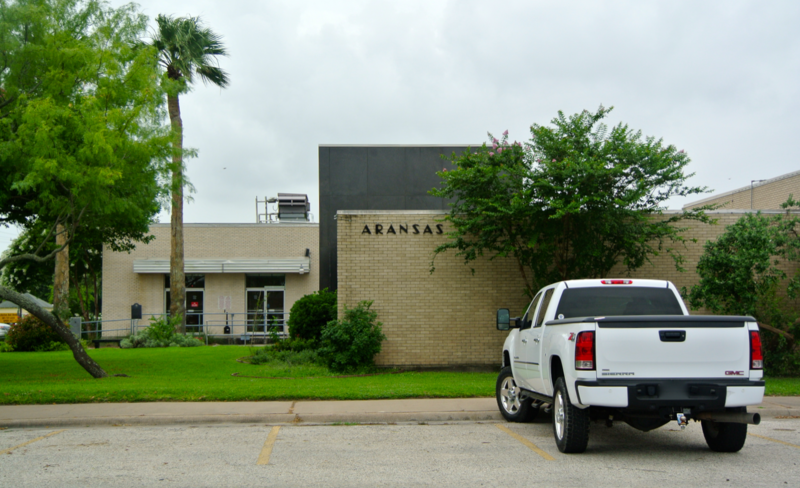 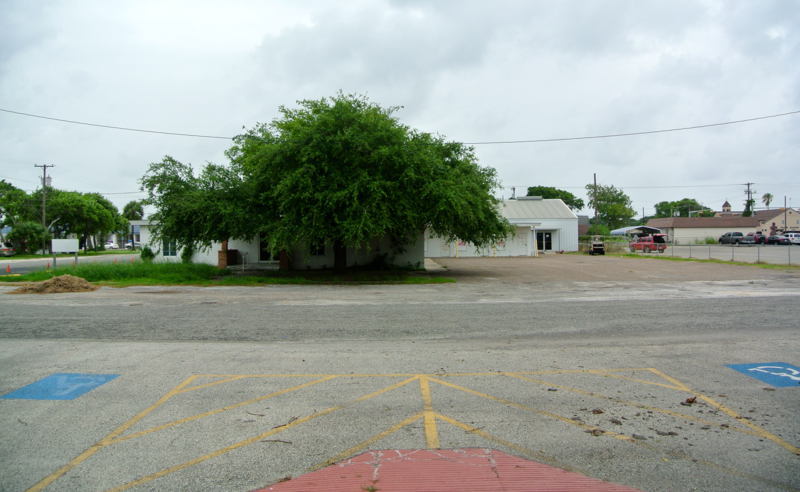 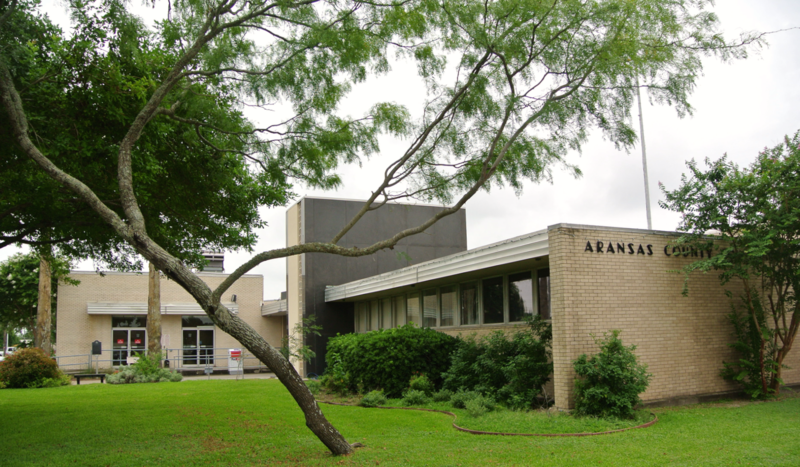 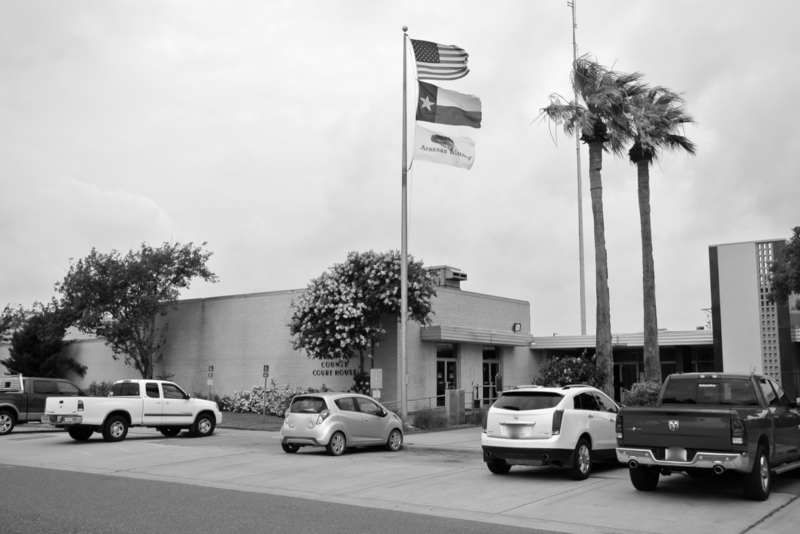 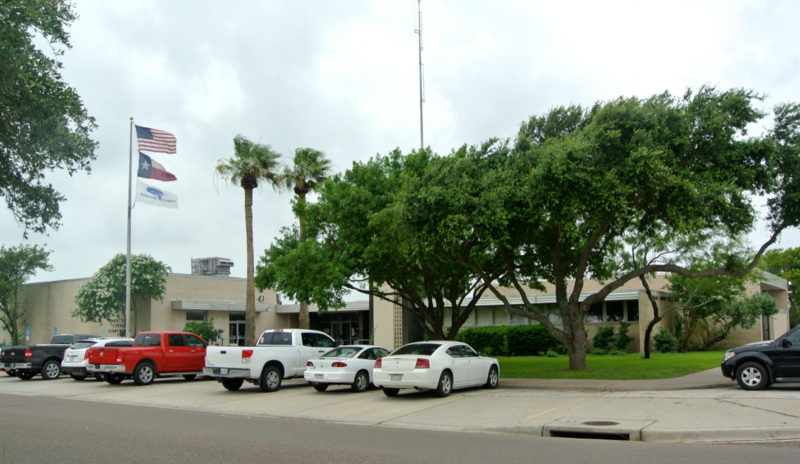 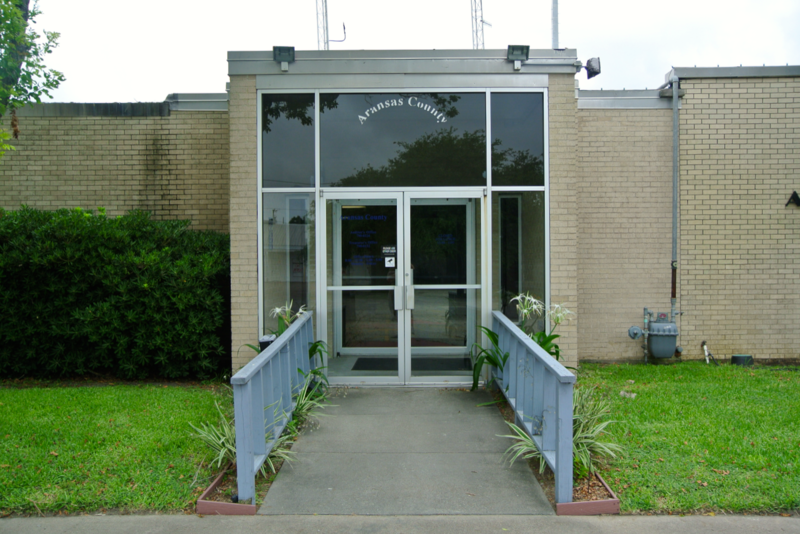 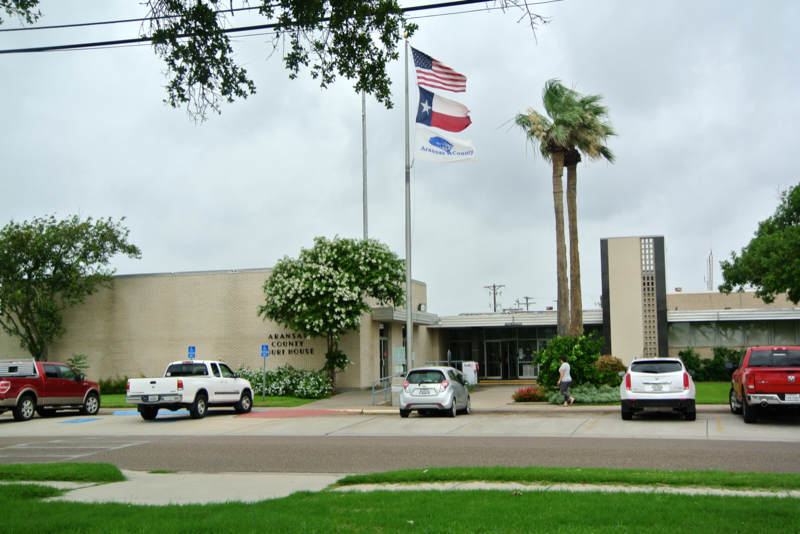 Directly across Concho Street is the Aransas County Detention Center. 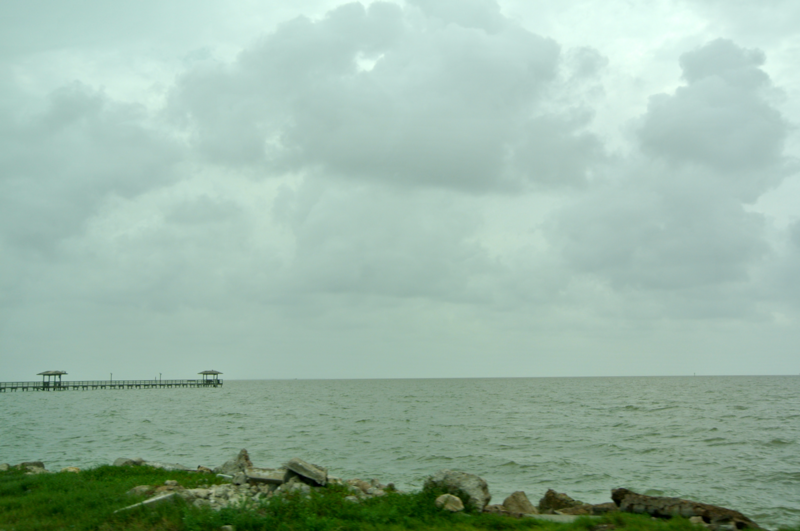 To the west of the bay-hugging Fulton Beach Road is the Fulton Mansion. 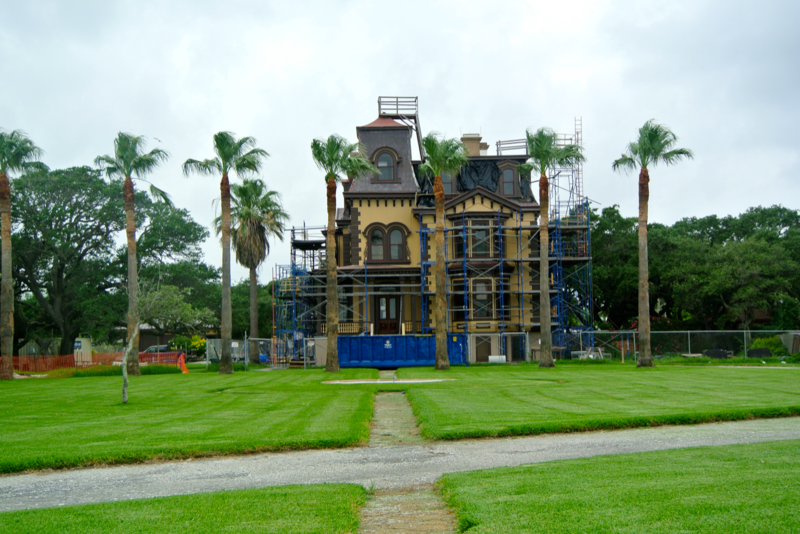 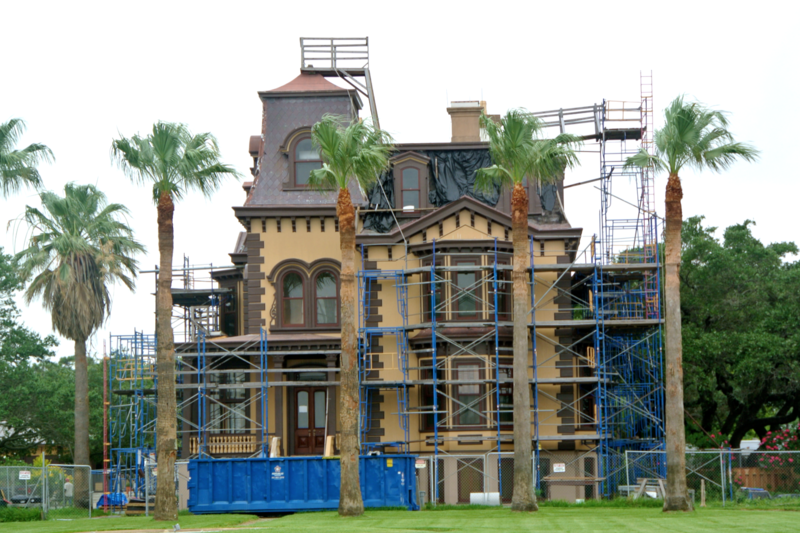 It’s a neat find that would fit right at home among the historic homes in Galveston’s Castle District. 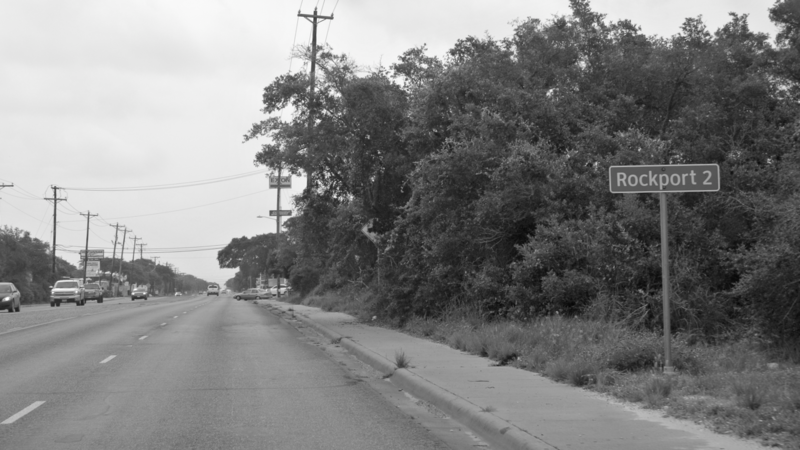 You can read more about it: here. 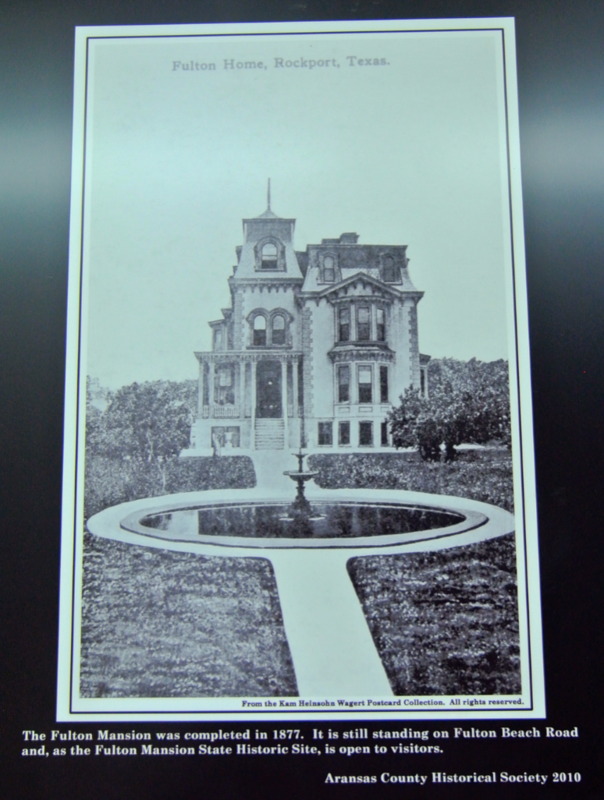 I found this old photograph of the mansion while inside the courthouse.